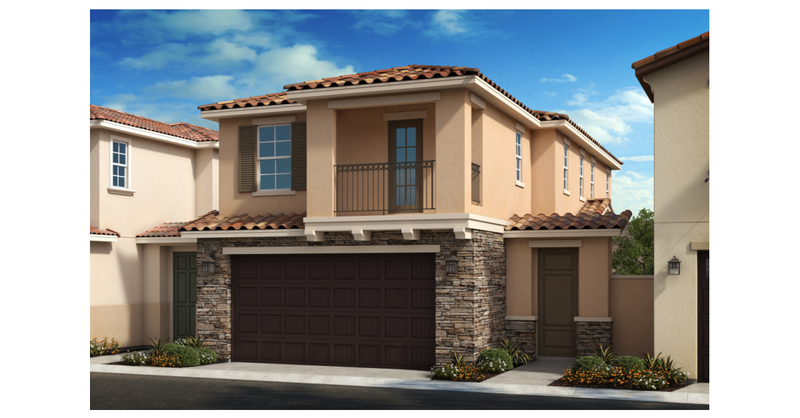 MURRIETA, Calif.--(BUSINESS WIRE)--KB Home (NYSE: KBH) today announced the grand opening of Westpark, its latest community of new single-family homes in Murrieta. Situated near Interstates 15 and 215 and Highway 79 for easy commuting throughout Riverside, San Bernardino, Orange, and San Diego Counties, Westpark is also convenient to downtown Murrieta and within walking distance of Murrieta Valley High School and Thompson Middle School. Located just off Washington Avenue within the desirable Murrieta Valley Unified School District, KB Home’s Westpark is close to a variety of shopping and dining options at nearby Murrieta Springs Plaza and Promenade Temecula. Residents can also enjoy several area parks, including Town Square Park, which hosts concerts and special events, California Oaks Sports Park, which features sport courts and fields, a swimming pool, and a youth center, and Mountain Pride Park, which offers an 18-hole disc golf course. Golf enthusiasts can tee off at the Murrieta Golf Valley Golf Range, and the renowned Temecula wine country is just a short drive away. The Santa Ana Mountains, the Santa Rosa Plateau Ecological Reserve, and Lake Elsinore offer plenty of opportunities to explore natural surroundings. KB Home will host a grand opening celebration at Westpark on Saturday, August 4 and Sunday, August 5 from 10:00 a.m. to 6:00 p.m., during which attendees may tour the elegantly-appointed model homes. Free refreshments and entertainment will be available from 12:00 p.m. to 2:00 p.m. on Saturday. At Westpark, KB Home plans to construct a total of 64 two-story homes in three distinct floor plans ranging in size from 1,500 to 2,000 square feet with up to four bedrooms and three bathrooms. The KB homes at Westpark offer attractive attributes such as expansive great rooms, two-car direct access garages, spacious master suites, and low-maintenance yards. One floor plan incorporates a first-floor bedroom and full bathroom. Pricing begins in the low-$400,000s. The KB homes at Westpark will be built to current ENERGY STAR® guidelines and include WaterSense® labeled faucets and fixtures, meaning they are designed to be more energy- and water-efficient than most typical new and resale homes available in the area. These energy- and water-saving features are estimated to save homebuyers between $1,632 to $1,788 a year in utility costs, depending on the floor plan. As part of KB Home’s distinct homebuilding process, buyers may personalize many aspects of their new home to suit their budget and preferences. After selecting their lot and floor plan, KB homebuyers may confer with expert design consultants who guide them through every aspect of the process at the KB Home Design Studio, a retail-like showroom where they may select from a plethora of design and décor choices, including countertops, cabinets, lighting, appliances and window coverings. The Westpark sales office is located at 21464 Vernin Street in Murrieta. From I-15, exit California Oaks Road/Kalmia Street heading west. Turn right on Washington Avenue and right on Petra Street. Follow the signs to the sales office. The sales office is open Tuesdays through Sundays from 10:00 a.m. to 6:00 p.m. and on Mondays from 1:00 p.m. to 6:00 p.m. For more information about Westpark, or KB Home’s other new home neighborhoods, visit www.kbhome.com or call 888-KB-HOMES.